The prevalence of obesity is increasing globally. Obesity and its associated insulin resistance are a risk factor for severe health complications including type 2 diabetes and cardiovascular diseases. Furthermore, accumulating epidemiological evidence has indicated that obesity is not only a risk factor but also a promoter for various types of cancers. Conversely, cancers can induce cachexia, a complex metabolic syndrome of progressive skeletal muscle loss. However, the biological basis for how cancer cells interact and respond to these systemic metabolic changes remain incompletely understood. The fruit fly Drosophila melanogaster has only recently been used as a model to study human diseases, including metabolic disease and cancer, but has started to provide important insights into therapeutic targets and the basic biology of various human diseases. The ability to perform genetic screens in a whole-animal setting provides a powerful systemic approach to identify new and unexpected molecular links between whole-animal metabolic changes and cancer. Our lab has developed whole-animal Drosophila models to study the link between diet-induced obesity and cancer. Feeding Drosophila tumour models a high caloric diet led to a striking enhancement of tumour overgrowth, tumour dissemination, cachexia-like organ wasting, and animal lethality. Our research focus is to understand the molecular mechanisms of how tumours rewire their metabolism, sense and respond to systemic metabolic changes associated with obesity and cachexia-like organ wasting. Diet-induced obesity promotes tumor overgrowth in Drosophila. 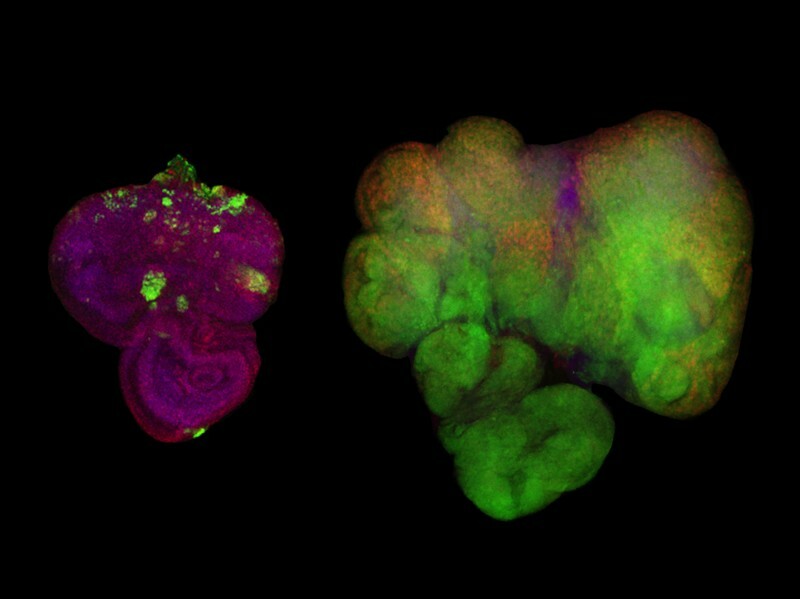 Ras/Src-activated tumors (labeled with GFP; green) in the Drosophila eye epithelial tissues of animals raised on a control diet (left) and a high-sugar diet (right). 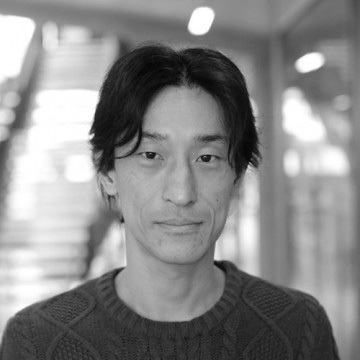 Hirabayashi S (2016). The interplay between obesity and cancer: a fly view. Dis Model Mech 9, 917-926. Hirabayashi S, Cagan RL. (2015). Salt-inducible kinases mediate nutrient-sensing to link dietary sugar and tumorigenesis in Drosophila. eLife 4, e08501. Hirabayashi S, Baranski TJ, Cagan RL. (2013). Transformed Drosophila Cells Evade Diet-Mediated Insulin Resistance through Wingless Signaling. Cell 154, 664-675.